About The Cookie Jar | The Cookie Jar! 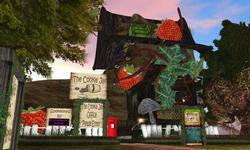 The Cookie Jar is a Community of Home and Garden enthusiasts on the Second Life grid. Established 2nd June 2011 by Jiovi & 2WAT Michigan. With merchants old and new, large and small, all in the one group. We have a wide range of home and garden items for you no matter what taste you have there is something here for you. If you are looking for a new piece of decor for inside or outside of your SL home then this is the place to go. If you are looking for new, fresh, unique items created by talented creators. ( Some may not be familiar names but they soon will be) then The Cookie Jar is the place to shop. We welcome anyone who loves Home & Garden items as much as we do. 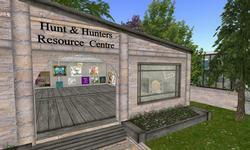 Whether you are just wanting to shop from your SL Home or looking for a place to sell your wares you will be welcome here with us. Launched February 2015 Perfect TEN Shopping Event! 10Amazing Designers creating EXCLUSIVE items, half price or less! This event is just for approved merchants so you will need to fill in a merchant application if you wish to participate. We hold regular hunts both gridwide and based on the sim. Some are free some are 1L to make it fair for everyone. Our merchants spread GRIDWIDE! Even if you have just a few items or a huge store, it doesn’t matter, everyone is welcome to apply. So come, join us, and give in and have a treat from The Cookie Jar! Please note the only owners of The Cookie Jar are Jiovi & 2WAT Michigan, anyone else claiming they are is false. The Cookie Jar HQ & Shopping Village is on Michigan Bay.